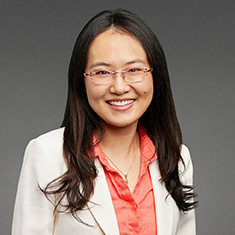 Jun Qiu concentrates her practice in transactional, corporate and regulatory aspects of financial services matters. Jun is able to provide legal services to a wide variety of clients including proprietary trading firms, hedge funds, broker-dealers, registered investment advisers, commodity trading advisers, financial institutions and general corporate clients. She is experienced with a variety of the SEC, CFTC and state regulatory requirements and filings. Prior to joining Katten, Jun worked in an interstate property management company and became a licensed CPA. While in law school, Jun served as an editorial staff member on the Seventh Circuit Review, and held leadership roles with several student organizations. Jun participated in an innovation project creating tools to facilitate the delivery of Miranda rights and promote criminal justice, partnered with ABA Center for Innovation, IIT Institute of Design and New Orleans Police Department. She also was named one of 20 Law Students of the Year in 2018 by the National Jurist magazine. Jun is also a founding member of the CBA's Financial and Emerging Technology Committee. Shown below is a selection of Jun’s engagements.